Photographer is Horton Bros. of Providence, Rhode Island. Otherwise undated and unidentified. There’s a nice relaxed quality about her. And her muff has a tail! OMG. 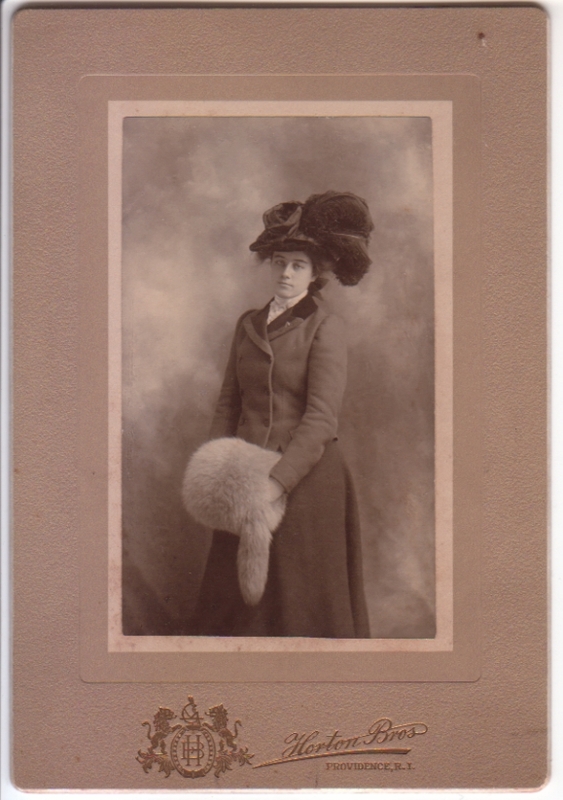 My gran had an arctic fox muff exactly the same as this one PLUS a matching stole complete with head and tail. I kept them for years until a lot of the fur fell out and they start to smell weird. How wonderful to have had that. But yes, it’s best to get rid of them when they stop looking like clothing and start resembling rotting animals. Sad to have to let them go, though, especially when they are heirlooms.